Motorbike touring in Vietnam is always the best choice for those who want to experience Vietnamese country and people in a realest manner. We are a group of motorbike tour operators and tour guides who have a lot of experiences and good at various languages such as English, French and Spanish. 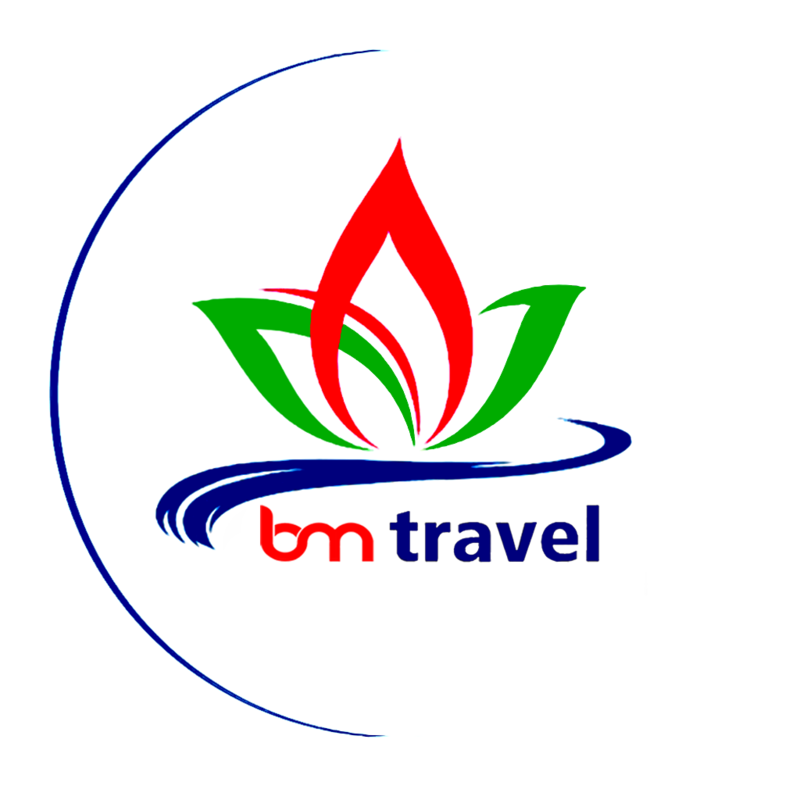 We are the first motorbike tour operator with Spanish tour guides in Vietnam. We have been grown up after many years in tourism. We know how to make differences and organize a wonderful trip for you. Don’t hesitate to choose one of the following tour lists or we may customize them depending your financial capacity and number of days. We will try our best to offer everything possible to you so that you will have a meaningful trip in Vietnam. 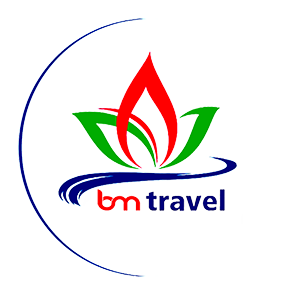 Most popular Tour with High Quality + Affordable Price. The best choices to discover Vietnam right now. Don't miss out! 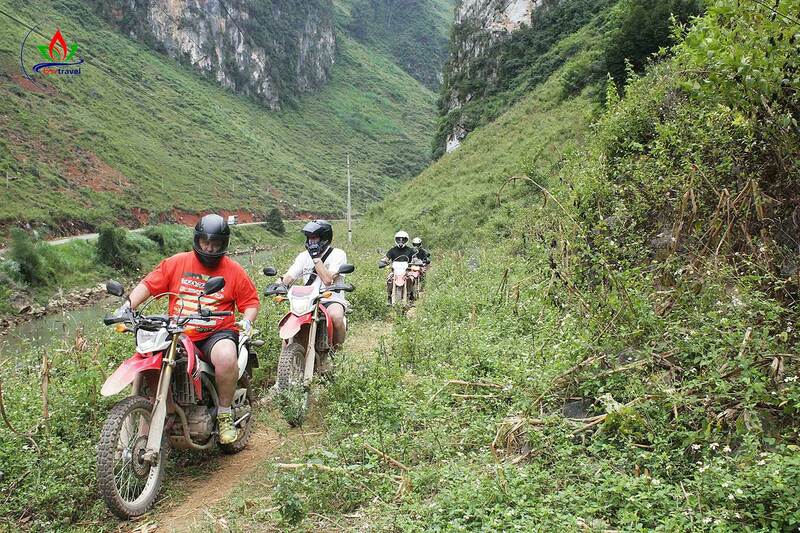 This Best Vietnam Motorbike tours via Ha Giang motorbike tours - 6 days is among the most recommended tours from us! Not only do we get to explore the distinctive beauty of Ha Giang in such landmarks as Quan Ba skygate, Co Tien twin-mountain, Lung Cu flagpole, Dong Van old quarter, Khau Vai love market, Ma Pi Leng pass… we’ll also get to visit other famous landmarks in the North Vietnam motorbike tours such as Thac Ba lake, Hoang Su Phi rice terrace, and Ba Be lake. And if the weather turns out fine we can even visit Chieu Lau Thi peak,one of the highest peaks in Northern Vietnam, standing at 2402m with extremely challenging way in!Each day on the road with our 6 day Ha Giang off-road tour will be a fun-filled, exciting ride with so many surprises to look forwards to! Shortest Vietnam Motorcycle tours through S- shaped for 12 days is one of the best of the best Vietnam Motorbike Tours on Ho Chi Minh trail Vietnam is a country located in the Indochina Peninsula, long and narrow in width to the North - South. The area is mountainous with many rivers, canals, and many types of topography from north to south. With more than 4500 km of coastline. 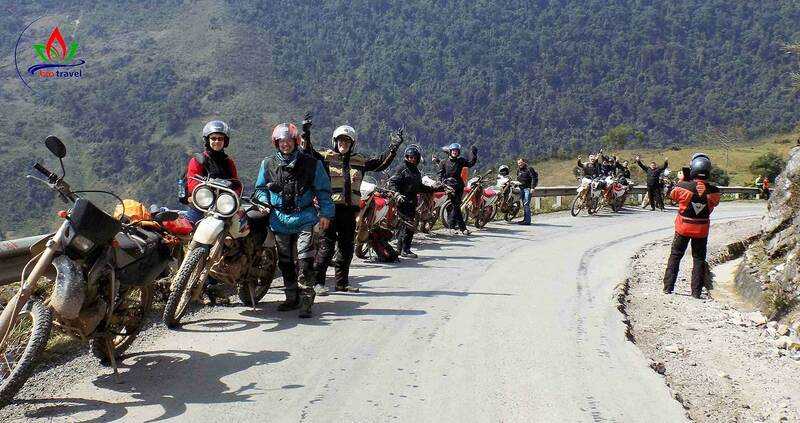 Therefore, the Motorbike tour through Vietnam is always the desire of many biker Vietnam as well as the world. In addition to the great geographic location that creates the most beautiful scenery from the forest to the sea, Vietnam also has cultural diversity with more than 54 ethnic groups. With a Shortest Vietnam Motorcycle Tours - 12 days explore the whole of Vietnam with a strip from the North to South, you have the opportunity to explore the customs, scenery of the Northwest mountains, explore the Ho Chi Minh Trail the legend of the DMZ in the war against American imperialism invaded. Explore the Central of the sunshine and wind, diverse cultural history, scenic soul tourists from the construction of man-made or beautiful natural scenery ranked in the world's first, one Southern beaches with long white sand or endless sand dunes are always attractive visitors.Only Vietnam Motorbike Tours-12 days, but you have the opportunity to explore the most typical of Vietnam. Vietnam is wellknown world-wide for having exotic and abundant marine life, wild life, and flora and fauna, along with a people diverse in culture and ethnicity.Vietnam is also becoming increasingly wellknown for its exploration tourism, especially off-road motorbike tour, Off-road biking in Vietnam is accentuated with steep, dangerous small roads that take you across listless rivers and rushing streams, rocky mountains and peaceful valleys, in return for breathtaking views and untapped emotions. You will witness unimaginable scenery of towering mountains, pristine forests, lingering herds of cloud: the stuff of dreams and fantasies that we took years of passion and pain, of blood, mud-trudging sweat and tears, years exploration, of getting lost and nasty falls to accumulate. All these to bring you a real and authentic experience, something unforgettable about Vietnam for you to have and hold. 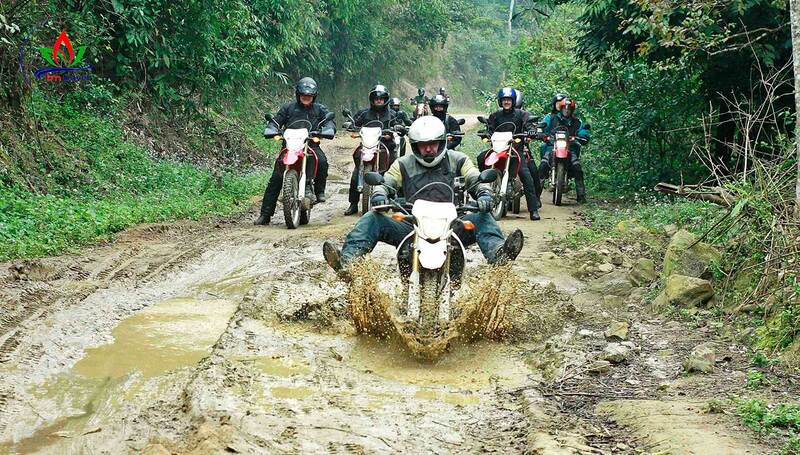 Our Off road Vietnam Motorbike Tours in northern loop Trail - 8 days is one-of-a-kind patented-exclusive, custom-made from our own experience and preference. We promise an off-road motorbike tour of your life that you won’t find anywhere else! Tour y guia profesionales Guias locales con gran experiencia Alquiler de motos enduro Guia en español Una gran experiencia con su equipo de trabajo, totalmente recomendables. Excellent!!! Un excellent service que j'ai eu quand j'ai accompage avec Binh pour découvrir en moto la région du grand Nord du Vietnam!!! Un meilleur moyen pour se déplacer du village en village... Un guide culturel dévoué et sympa pour votre voyage!!! 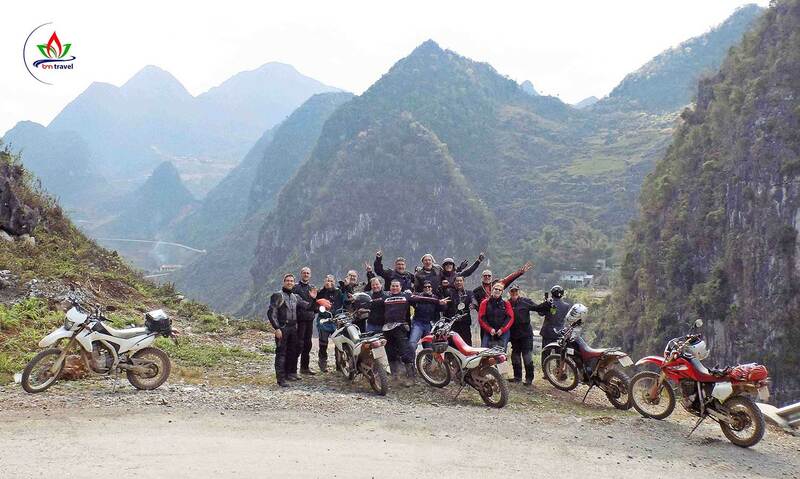 Mr. Binh is the proud owner and founder Vietnam motorbike tour club. As he said, He was born in the countryside so more than anyone else he understand the struggles of the people here. Moreover, he has been struggling in the tourism industry for many years. He is also very passionate about dirtbikes. So he hugged the idea form long ago that he would lead his visitors to experience what he had experienced to add a reason to love and love Vietnam more. On all his tours there are days spent sleeping in homestay and eating at local restaurants. In part, community tourism in Vietnam is developing and improving people's vision and raising their incomes. to understand and enjoy all the beauty of the mountains and forests of the national culture and to experience a truly meaningful tour, motorcycle tours are the No. 1 choice. With the passion and understanding of the tour routes, as well as the national culture after many years of experiences. He personally went to a bold decision, gathering guides who share the same interests and desire to introduce to the world about Vietnam. 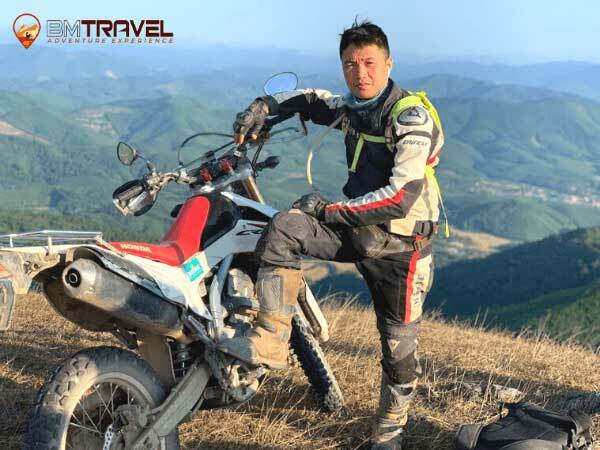 All the hearts of Vietnam motor bike tour club will give you their best to for your motorcycle tour to be extremely meaningful and interesting. Vietnam Motorbike Tours CLub | With his years of experience on the tools and on the road, VietNam Motorbike Club and his team of guides and mechanics will ensure you have a motorcycle adventure that is unique, unforgettable and most of all, fun.